Jammu: Indian Intelligence agencies have warned that Pakistan-backed terrorist outfit Jaish-e-Mohammed (JeM) is planning to carry out more Pulwama-like attacks in the near future. Intelligence agencies have alerted the security forces about fresh intercepts on JeM planning more attacks in the days to come. According to the specific inputs gathered by the intelligence agencies, Pakistan-backed terror outfits like JeM and Hizb-ul-Mujahideen are planning to carry out an IED attack targeting security forces and military vehicles plying on the Chowkibal and Tangdhar routes in Jammu and Kashmir. Intelligence sources claimed that a green colour Scorpio vehicle is being prepared to carry out a fidayeen attack very soon. The intelligence inputs received on Hizb-ul-Mujahideen suggest a surge in infiltration from across the Line of Control (LoC) by its terrorists. 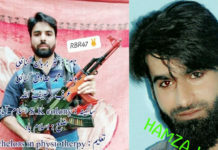 The Hizb-ul-Mujahideen terrorists have been receiving big support from local Kashmiri youths, the agencies warned. 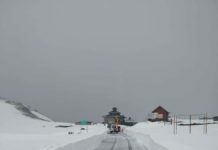 Intelligence sources claimed that at least 5 to 6 trained ‘fidayeen’ are ready to infiltrate into the Indian side and presently stationed at terror launch pads along the LoC near Gurez sector and waiting for an opportune time. Top intelligence sources had told Zee Media on Wednesday that women and children were recruited to transfer explosives used in the Pulwama terror attack from one point to another. The explosives were carried from across the border over a period of few months and the actuating mechanism to trigger the explosives were created locally. Both the components were fitted in the bomb justs days before the attack. On February 14, over 2000 Central Reserve Police Force (CRPF) personnel travelling in a convoy of 78 vehicles on Jammu-Srinagar highway was attacked by a vehicle-borne suicide bomber at Lethpora (near Awantipora) in the Pulwama district. The attack resulted in the death of at least 40 CRPF personnel and injured many others. Terror outfit JeM claimed responsibility for the attack and Kashmiri local Adil Ahmad Dar was identified as the suicide bomber. The RDX used in the attack is reported to be of Military A5 grade category and was transported across the border in small quantities over a period of few months primarily by women and kids. These were accumulated in Pulwama for the February 14 attack. RDX is a highly unstable compound and is often mixed with wax or soap to make it stable for easy handling, said sources in the Army. Military grade RDX is, however, mixed with high quality stearic or octadecanoic Acid. An A5 grade RDX denotes 98.5 to 99.5 percent purity and is reportedly very expensive. The entire planning and execution of Pulwama attack and suicide bomber Dar’s training was supervised and monitored by Ibrahim Azhar, brother of JeM chief Masood Azhar and father of Mohammad Usman, who was killed in an encounter with Indian security forces on October 30 last year. Next articleIs Yemen headed for some political stability?